LEFT: Penrith swimming Club members Jake Fabi and Rebecca Titterington, who competed for Cumbria at the regional inter-counties championships. Penrith swimming Club members Jake Fabi and Rebecca Titterington, who competed for Cumbria at the regional inter-counties championships. 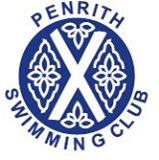 TWO members of Penrith Swimming Club travelled to Macclesfield and competed as part of a 40-strong Cumbria team at the North West Inter-counties Championships. The county swimmers aged 10 to 14 took on teams from Central Lancs, Manchester and District, North Midlands, Liverpool and District and North Lancs in a full weekend program. Representing Penrith were 11-year-old Jake Fabi and 13-year-old Rebecca Titterington, who both swam exceptionally well. Jake competed in the 50m freestyle finishing seventh in a personal best of 31.83sec and the demanding event of 200m butterfly, in which he again performed admirably, coming sixth in his age group in another personal best time of 3min 14.22sec. Rebecca also swam in the 200m butterfly, finishing fifth in the 13-year-old category and knocking seven seconds off her personal best with a time of 2min 51.06sec. Rebecca’s second event was the 100m butterfly in which she again produced a new personal best of 1min 15.65sec to finish seventh. Points were awarded to each swimmer finishing in places one to 12. At the end of the two-day event, having vied for second position all the way, Cumbria finally finished in third place with 564.5 points. This was behind Liverpool and District (607) and North Lancs (624) but ahead of North Midlands (553), Manchester and District (487.5) and Central Lancs (331).